After running around like a mad person today, by the time I sat down to list items for Saturday, the clock had turned it into Sunday. Guess the Gods had decided they could wait as I crashed for a two-hour nap as soon as I got home from San Gabriel Bead Company. If you are a bead whore as bad as I am, you also squeed if you went in these past three weekends and saw all the local Southern California bead stores were participating in their annual So. 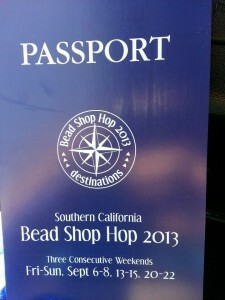 Cal Bead Shop Hop. Pegged as American’s largest bead shop hop, I wish I hadn’t been so busy the last two weekends and taken advantage of the fun of running from bead store to bead store to bead store with my fellow bead whores. We are already planning next year’s attack of the hop with much looking-forward to. So, quickly (so I can go back to bed and dream of beads), three new items are up in the Etsy store this early, early morning; Striped Amber Faux Earring Triangle Drops, Striped Amber Faux Earring Drops and our beloved Copper Feather Drop Earcuff. Why these particular ones? Well, Amber is a color sacred to the Sun and to Sundays. Copper may be a moon color, but the Copper Feather Drop sports a gold feather at the end and you don’t have to be a MoonWitch or a SunWitch to figure out gold has been the color of the sun since dirt. Feathers have many associations in European folk magic, but since there are no real gold feathers, this one can be symbolic of whatever you want. Stop by the store and check them out. They are reasonably priced for great impulse buys that won’t kill your pocket book – $5.95 & $7.95. Have fun shopping!